Caledonian Maritime Assets Limited (CMAL) has announced it is planning to replace the linkspan decks at the ferry terminals at Coll and Tiree. £3.7 million funding has been secured and, following a public sector procurement exercise, construction contractor George Leslie Limited has been appointed to undertake the works. Individuals are welcome to drop-in at any time during the meetings. Representatives from CMAL, CalMac and engineering firm Mott MacDonald will discuss the timing of the construction projects, details of the replacement process, port closure and the alternative ferry service arrangements to be in place during the works. It is anticipated the work will take place in late autumn 2019 at Coll and early spring 2020 at Tiree. 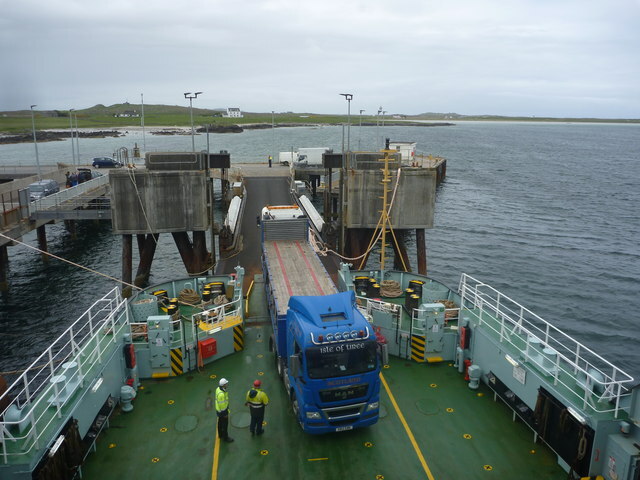 Brian Sydney, senior civil engineer at CMAL said: “The linkspan decks at the two ferry terminals are reaching the end of their serviceable life and are being replaced as part of our ongoing programme of harbour upgrades and improvements. We expect each replacement will require a port closure period of three to four weeks to complete the works, subject to weather conditions. If we can reduce the timescale, we will. We know that timing and connectivity is vital for the islands and our aim is to minimise disruption as far as possible. David Gibson, service delivery director, CalMac said:“We are aware of how important these lifeline services are to the islands and we are committed to minimising the impact on customers and the local community while these works are carried out. This entry was posted in Transport Forum on November 13, 2018 by AdminTCC.